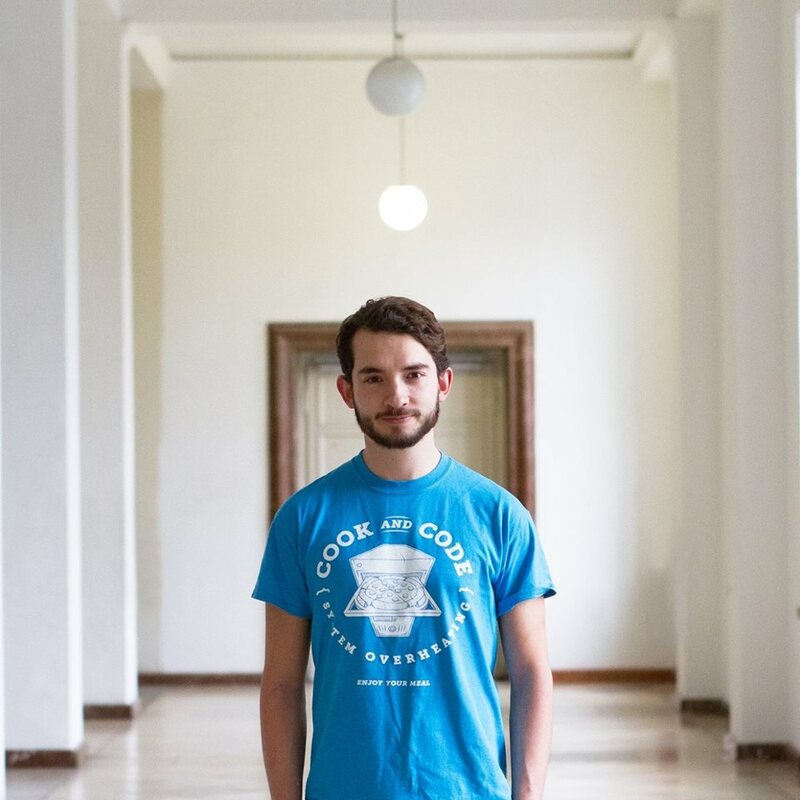 For the past year, we have been offering coding workshops for total beginners at COOK and CODE in Munich. Coding is totally trending. So why is this the perfect time for you to start learning programming? It will make your friends jealous, your mother proud and … it’s fun! The latter is something that too few people have picked up on. – A guest article by Alexander Hoffmann, founder of COOK and CODE. Coding, or programming, still has a serious image problem. A lot people equate coding with something that is abstract and boring. Wrong! Programming has surprisingly little to do with binomial formulas and the associative law. For example, I did not have a single math lesson during my training to become an IT specialist. What you actually need is patience and logical reasoning. Algorithms and software already dominate major areas of our society. The influence of technology will continue to grow. So where should a person even begin if they want to learn programming? With more than 500 programming languages out there, it can get really confusing, and finding a starting point can also be difficult. Beginners quickly become overwhelmed by all of the different programming languages and communities. You simply do not know where to begin. A tutorial on its own is also not enough for effective learning. People need real projects as a follow-up after a tutorial to implement what has been learned. Programming is definitely one of the skills of the future. It can be used to shape the world. Disruption was created by the hands of programmers, making ideas a reality. Coding also has a lot to do with creativity. Creative problem-solving. “I am often put off when things are too nerdy,” commented Magdalena Rogl, Head of Digital Channels at Microsoft Deutschland GmbH. The idea is not that everyone needs to become a programmer, but we should have a basic understanding that allows us to understand the connections. Do you work in online marketing and want to get your website a better search engine rating? Then there is no getting around the HTML basics. Sure, HTML is not, strictly speaking, a programming language, but it is a markup language that defines information for search engines. Poorly maintained (meta)data = poor ranking. This kind of knowledge enables you to make simple changes to your website without needing to hire an agency. Rogue firms can be found everywhere, so it is worth your while to have basic knowledge that improves your ability to recognize inflated offers from service providers and to negotiate. IT managers communicate with developers on a daily basis. A basic understanding of coding can be a huge help in more clearly and concisely defining customer needs. Clear definitions then make it easier for developers to do their job, while also freeing up valuable time for developing. Possible technical difficulties that code ninjas might face can then also be more easily identified by managers and avoided in time. “A person who does not understand software loses contact with the outside world and quickly becomes a professional problem,” commented Frank Thelen. So how does software work? What is an algorithm? Which of the more than 1,000 programming languages do I need for my idea? Frameworks? How does a website or an app work? Are we all about to be replaced by computers? These intriguing questions can be answered with some help from the courses offered by COOK and CODE.